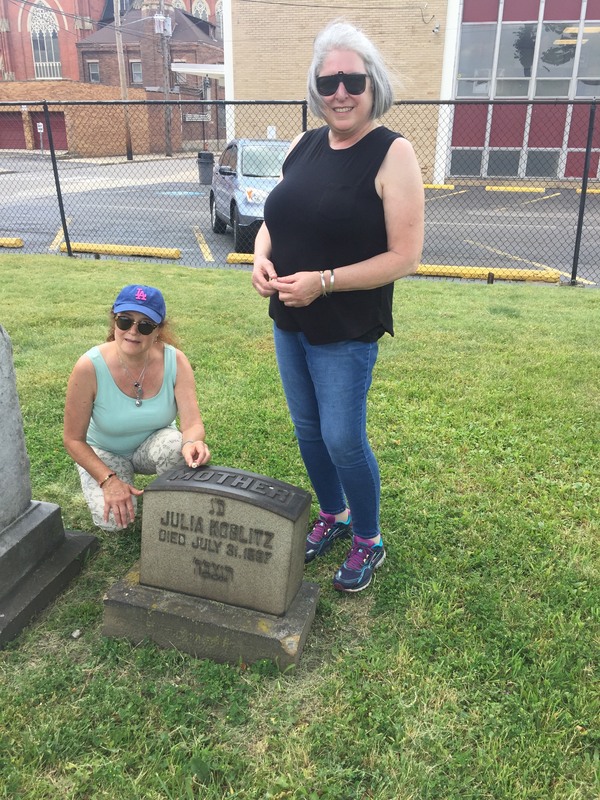 Karen (left) with cousin Beth in front of Julia Koblitz née Meller’s grave at the Baxter Cemetery, Cleveland. My name is Karen Koblitz and I am a native of Los Angeles, California. I am an artist that works mainly in ceramics and an Associate Professor of Fine Arts, Head of Ceramics in the Roski School of Art & Design at the University of Southern California in Los Angeles. My family heritage is Eastern European; Russian, Bohemian and Austro-Hungarian. I am married, my husband, Alan Friedenberg is a retired Elementary School Principal and we have one daughter, Gina, who is a university student, a senior at the University of Southern California studying Spanish and Psychology. 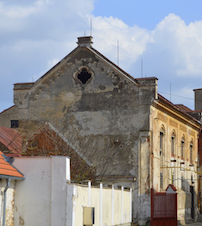 You can contribute towards running costs of our association and the synagogue restoration into our transparent bank account 2701205032/2010 (IBAN: CZ72 2010 0000 0027 0120 5032; SWIFT/BIC: FIOBCZPPXXX).